Wading through Netflix can be a chore. Here’s a list of fifteen movies currently on instant streaming worth checking out. This is not a comprehensive list, but it’s a good place to start. I hope it helps you weed through the choices, and happy viewing! I talked about this movie a lot in the last Summer Lovin’ series post. Starring Simon Pegg, it is about one man’s journey to find personal and everlasting happiness. He travels the world in his search, meets lots of interesting people, and discovers that happiness was closer to him than he had thought. Corbin Dallas has been working through a string of really bad luck. His bad luck culminates when a nearly naked woman falls through the roof of his cab. His bad day takes a turn, however, when he sees the woman and instantly feels a connection that will eventually send him on an adventure across the galaxy. Together, he and the woman, Leeloo, save the world and each other. It’s a science fiction classic that has everything you could ever want in an adventure film. Ferris Bueller came out in height of the eighties and has all the corny lines, big hairdos, and high school hijinks you can stand. It’s an iconic movie, with real heart at the core. Ferris and his friends are at the turning point in their lives. They are firmly between adulthood and adolescence, and the terror of everything changing forever is the undercurrent that drives Ferris’s need to spend one final day playing hooky. The movie is charming, quirky, and is currently the king of Netflix. The suburbs are home to all sorts of weirdness. This is showcased in Tom Hanks’s movie, The Burbs. Living in close proximity to someone is always a little awkward. It’s worse when that someone happens to be a raging sociopath who murders people. The mystery of what’s really going on the basement of his neighbor’s house drives the comedy, absurdity, and darkness of one man’s need to understand it all. Odd Thomas has always had a gift for seeing the spirits of those who have passed on. He helps bring the restless closure through his visions. His gift comes with a drawback though – the ability to see monsters that could kill him if they were aware of his talent. The monsters are attracted to death, and there is a large swarm gathering in his hometown. Darkness is coming, and he’s the only one who can stop it. If you sit down to see this without reading the books or without knowing anything beforehand, just know that you will need tissues. Lots and lots of tissues. Robin Williams. That’s all you need to know. I’m not certain I’ve actually met anyone who hasn’t seen this movie, but I’m sure they exist somewhere in the wilds of Madagascar. [Jenn's Note: Literally watching this as I edit Lynnie's post because it's on ABC Family.] 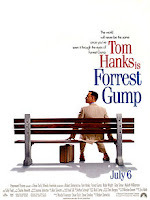 If you haven’t seen it, Forrest Gump is the story of a man with below average intelligence who lives his life with above average results. If you have seen it, re-watching it always worth the nineties nostalgia. Tim Burton brings Halloween to Christmas in The Nightmare Before Christmas. The Pumpkin King, Jack, is bored with his duties and wants to understand the magic of Christmas. He orders his people to begin building toys for the holiday and has Santa Claus kidnapped. What follows is absolute chaos. The songs are iconic, the story is suitably frightening, heartwarming, and the resolution brings Jack new hope. Mulan is a boss. She does everything she sets her mind to with grace and intelligence. You don’t have to be a kid to enjoy her story, but if you do have kids, it’s a story worth sharing with them. It teaches self-worth, fighting for what’s right, and the need to have a Mushu wherever you go in life. Ohana means family. Ohana is the current that directs Lilo and Stitch throughout the craziness of adopting a tiny blue alien, dealing with the people who have come to kill him, and Lilo’s unlikely friendship with Stitch. Stitch learns to love, Lilo learns to let go, and Lilo’s sister is the single most awesome sister on the face of the planet. Two rednecks are in search of the perfect vacation, only to have it ruined by murder and mayhem. The pair of dirty, overall-wearing, beer-drinking, good ol’ boys go out to a recently purchased vacation home on a quiet, remote lake. There, a murderous yuppie complicates everything. Tucker and Dale Vs. Evil turns all of the survival horror clichés on their heads, subtly pointing out that looks are deceiving and sociopaths, more often than not, wear polos. It’s funny, it’s gross, and Alan Tudyk and Tyler Labine are wonderful, charismatic, and deserve all the awards. Need a reimaging of Pride and Prejudice without all the dancing? Look no further than Bridget Jones’s Diary. Rene Zellweger, Colin Firth, and Hugh Grant bring the charm, flirtation, and romance in a love story that transcends time. Originally written by Neil Gaiman and adapted for the big screen by Matthew Vaughn, Stardust is the story of a boy becoming a man, falling in love, and taking his rightful place beyond the wall that separates boring England from magical England. Young Tristan goes in search of a star. Instead he finds the love of his life and an adventure that will change him forever. 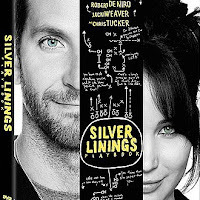 Jennifer Lawrence plays a widow haunted by her husband’s death, and Bradley Cooper has just been released from a psychiatric facility after attacking the man his wife was sleeping with while married to him. They are both a little screwed up, but, somehow, they work. Through a dance competition, the pair grow closer, face the demons of their respective pasts, and learn that love is better when it’s a little weird. interesting articles, I admit with the writer all the movies mentioned in this blog is worth watching. Amazing.